Peel the ginger and the garlic, rinse and crush them. You can also use a mortar to pound them. Pour some of the water to extract the juice. Then sieve. Mix the 3 packs Peak Full Cream Instant Milk Powder with the ginger and garlic juice and the remaining water. 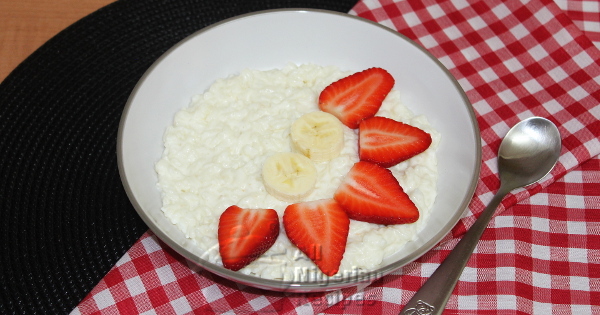 Put the leftover rice in a pot, pour the milk mixture into the rice. Stir very well and start cooking on medium heat. Stir it often and once it thickens, it is ready. So quick! 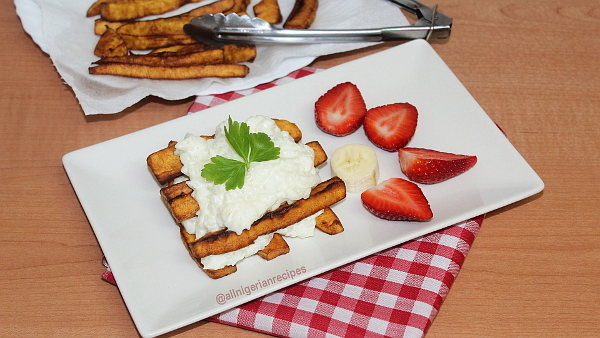 Serve with Fried Plantains, Akara and fruits you would normally serve with breakfast cereals such as bananas and strawberries.